In an increasingly competitive marketplace, maximising productivity and reducing operating costs has never been more important. 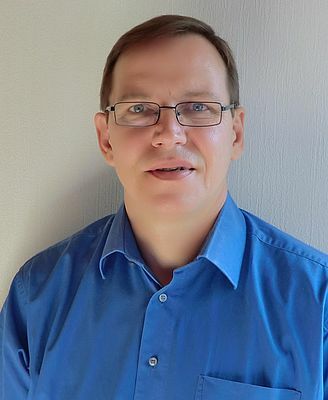 Recently, we had the chance to speak to Burkhard Busse, Europe, Africa, Middle East, equipment builder engineer from ExxonMobil Lubricants & Specialties, about how choosing the right gear lubricant can improve operators' bottom line and help provide companies with a competitive edge. IEN: How crucial are gears in the day-to-day running of a plant? Busse: In gear driven operations such as metals or paper mills, processing industries and manufacturing plants, industrial gears play a critical role in maximising productivity and reducing unscheduled downtime. Critical to the successful functioning of most industrial equipment, providing the necessary torque and rotational speed for machinery to operate effectively, the performance of industrial gears are fundamental to the productivity of an operation. Even a failure of one gearbox can cause an entire production line to ground to a halt, which can be very expensive both in terms of loss of production as well as associated labour costs and replacement parts to get the operation back on-line. Lubricants are the lifeblood of a gearbox, helping to reduce friction and provide long-lasting protection for the rotating, sliding and moving components of a gearbox. With the associated costs of gear related downtime, we are seeing a shift by manufacturing and processing industries towards high quality synthetic gear oils such as Mobil SHC Gear, which offer superior protection and performance compared to standard mineral-based industrial gear oils. IEN: How is the design/development of current/future gearboxes impacting the requirements of gear lubricants? Busse: Over the years, Equipment Builders (EB) have focused on developing new, more compact and efficient gearboxes that are capable of delivering even higher load capacities. Such improvements put additional stress on lubricants in terms of higher operating temperatures, faster speeds and heavier loads. These effects are compounded by the EB's drive to reduce total life cycle costs for their products, which includes reducing oil volume while extending oil drain intervals. To ensure lubricants meet the very latest requirements, leading lubricant suppliers such as ExxonMobil work closely with key EBs to ensure that its products are ideally formulated to meet the rapidly evolving gear designs and operation requirements. A good example of this approach in practice is the recently launched Mobil SHC Gear series of high-performance fully synthetic gear oils. Mobil SHC Gear oils have been designed in close cooperation with leading EBs to ensure they operate effectively in the latest gearboxes. 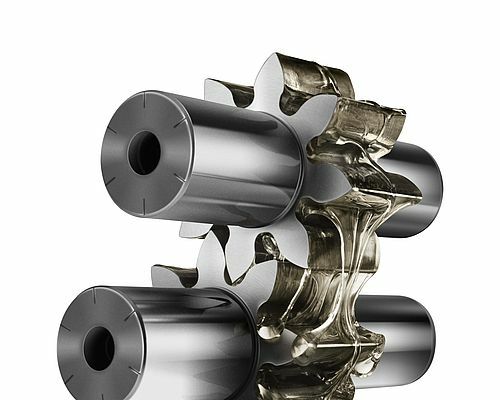 Based on extensive research and testing, Mobil SHC Gear oils demonstrate excellent wear protection for gears and bearings, enhanced resistance to micropitting fatigue, improved seal compatibility, excellent oxidation stability and outstanding viscosity behaviour in extreme temperature conditions, to ensure the latest industrial gears maximise their full performance potential. IEN: How do operators select a gear oil which will help to maximise the performance of the gearbox? Busse: While equipment is under warranty it is important for operators to select lubricants which have been approved / recommended by the EB to ensure the cover is not compromised. However, many EBs set the minimum requirements for an oil to operate in their equipment and companies can achieve significant performance advantages by selecting lubricants which surpass these levels. 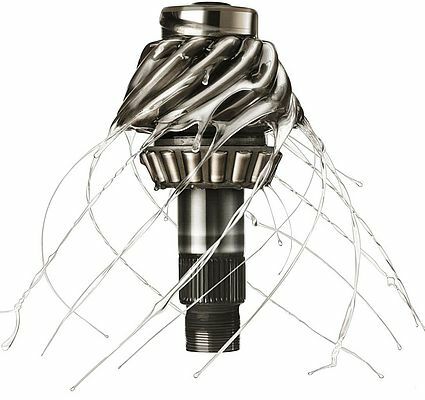 By using high performance industrial gear oils, companies can increase productivity and reduce unscheduled downtime by extending oil drain intervals and reducing component wear. In addition, as well as offering superior levels of protection, the latest synthetic gear oils such as Mobil SHC Gear can also help to improve energy efficiency of applications. To help customers select the right lubricant for their equipment, ExxonMobil recently launched Looble, an online industrial product selector which provides customers with lubricant recommendations and application guidance based on specific applications and operating conditions across a wide range of industries. Included in the selector are a wide range of gears from leading manufacturers. IEN: What are the performance advantages of a fully synthetic gear oil versus a conventional mineral-based oil? Busse:Higher operating temperatures, faster or even slower speeds and heavier loads are just some of the challenges facing industrial gears today. While high-performance synthetic lubricants can perform in these conditions, conventional, mineral-based fluids really cannot deliver the same level of protection and operators need to look to upgrade to synthetic lubricants to help minimise unscheduled downtime and maximise performance. Advantages of switching to synthetic gear oils such as Mobil SHC Gear oils include longer equipment life, excellent resistance to oxidation and protection against wear, extended drain-life, energy efficiency and high-temperature capability. IEN: How can an advanced gear oil such as Mobil SHC Gear, offer energy efficiency potential as well as maintain superior protection? Busse: Mobil SHC Gear's high viscosity index and low traction coefficient combine to provide a significant reduction in energy consumption in many gear drives. In statistically validated laboratory tests and field trials, Mobil SHC Gear oils exhibited energy efficiency of up to 3.6 percent versus conventional oils, delivering considerable cost saving benefits to organisations. As well as its energy efficiency potential, Mobil SHC Gear has a balanced formulation and has been developed to offer exceptional performance in all the critical areas required to keep a gearbox working efficiently. This includes outstanding gear and bearing protection as well as excellent oxidative stability, seal compatibility, rust and corrosion protection and foam control. Only by selecting oils which have a balanced formulation can operators look towards maximising productivity. IEN: What advice can you offer to ensure a successful switch from a mineral to synthetic gear oil? Busse: The recommended steps for switching gear oils depends on the application, the condition of the lubricant and the gearbox and how much time is available. Where possible, we would recommend carrying out a full drain and flush on the equipment. If the oil is not in a good condition, we would recommend flushing the system two-to-three times. The general rule is to get as much of the mineral oil out of the gears as possible before making the switch - that way you will get the maximum performance out of the synthetic lubrication. IEN: How can engineers monitor the performance of a gearbox and gear oil? Busse: In order to help maximise gearbox productivity and reduce costs, operators should incorporate an oil and equipment condition monitoring programme alongside the use of high quality gear lubricants. As part of routine maintenance, the "health" of the lubricant and the equipment itself should be regularly checked. Typically, it is advised that maintenance professionals perform quarterly oil analyses and annual system inspections. The oil analysis should include a measurement of chemical condition, fluid viscosity, water content, particle count and dissolved metals to determine how well the system is operating. Examining changes in the oil analysis data over time, also known as 'trending', is necessary to assess the condition of the lubricant. By trending oil analysis data, it is possible to proactively address undesirable conditions before they become problems. For equipment maintenance professionals who want an effective oil analysis programme, there is ExxonMobil's proprietary online Signum oil analysis system. Signum oil analysis offers engineers immediate access to and direct control of their lubricant sampling programme. Beyond oil analysis, visual system inspections should be conducted regularly to check and document the condition of the gear box. Inspection data can be used to establish the optimum time to perform maintenance on critical components such as the gear teeth. Comprehensive leak detection should also be performed, especially if excessive oil usage is noted during a routine system inspection. IEN: Mr Busse, thank you very much for the interview.